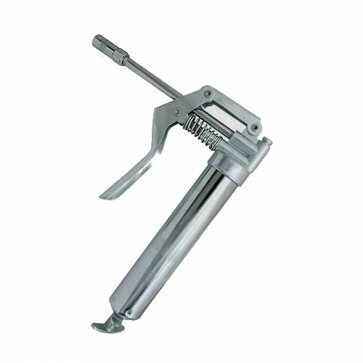 Brand New Mini Grease Gun Pistol grip, chrome-plated grease gun. 2-position attachment for delivery tube. Spring-primed piston and air release valve. Supplied with straight and flexible delivery tubes. Accepts mini grease cartridges 90cc / 3oz. Safe working pressure 3000psi/200bar.